All too soon it seems, it is time to say goodbye to the incomparable Aretha Franklin. In comparison to all her other wonderful hits, her rendition of "A Natural Woman" for many of us, made the top all time lists of transgender hits. Plus, for those of us who are more mature - :), her earlier hits such as R.E.S.P..E.C.T, set the standard for early woman's rights. A fight which continues unabated to this day. 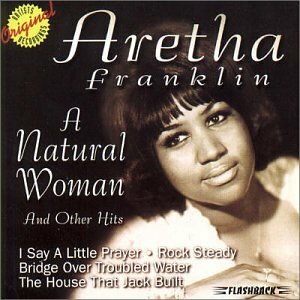 Aretha Franklin was also a great gospel artist to go along with her other attributes. Rest in Power Aretha, you will be missed. Her first gospel recording was made while she was pregnant with her second child - at the age of 14! As the daughter of a popular preacher, one has to believe there is more to her story than we have been told. I think, had she not been so frail in her later years, she would have had something to say for the "Me Too" movement. Still, she was definitely deserved of the title, "Queen of Soul." I have always admired her singing abilities, and have stolen more than a couple of vocal licks from her in developing my own singing style.